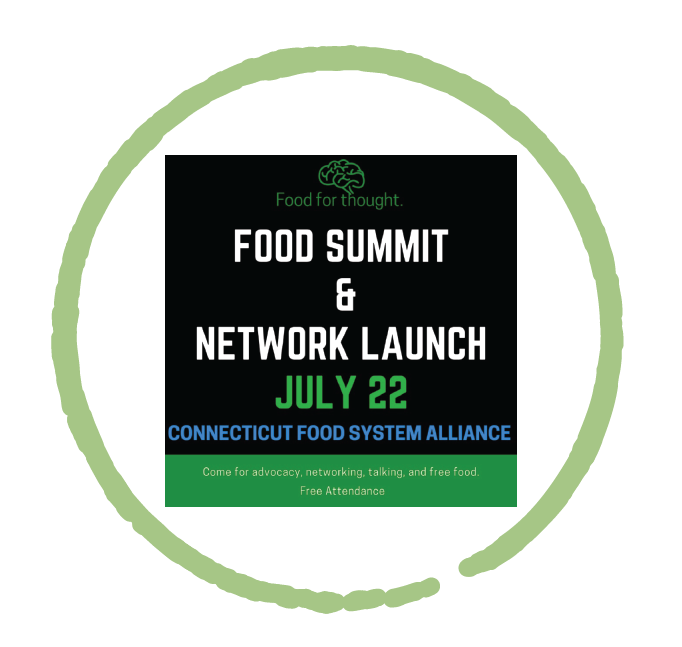 Hartford Food System is part of the steering group and serves as the fiscal agent for the Connecticut Food System Alliance. 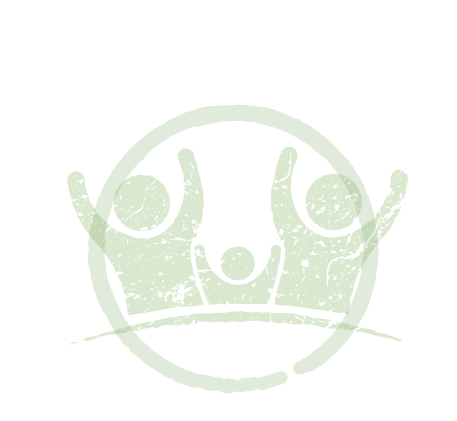 The Alliance is a statewide network of individuals, organizations, and institutions working to create a more just and equitable food system. The CFSA is dedicated to fostering greater connectivity throughout the state in an effort to affect broad systems change. We aim to facilitate collaborations and the sharing of information, skills, and resources. Our network gathering took place on July 22, 2017 in Hartford. Visit the CFSA website to keep up to date on other happenings. The Hartford Advisory Commission on Food Policy is working on the 2017 Annual Report, which includes policy recommendations for the City and Mayor. 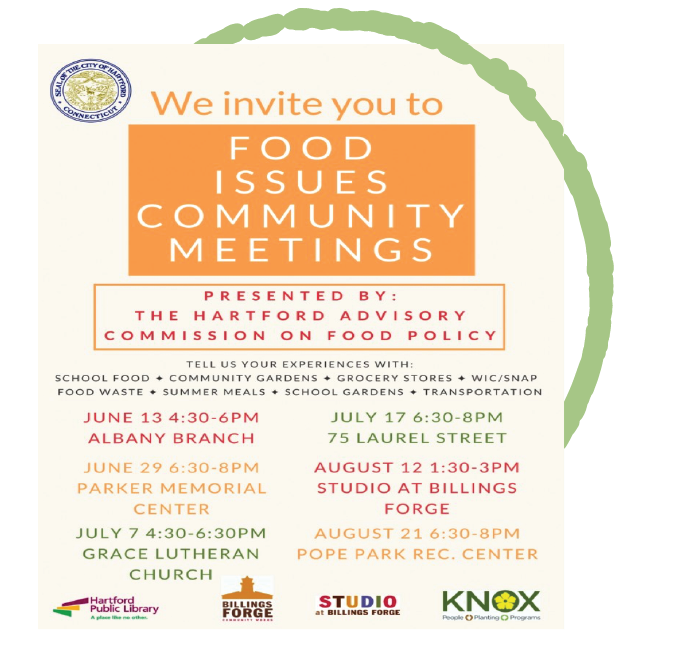 The HACFP is hosting a series of community meetings to gather feedback and concerns from residents about food issues, such as grocery stores and school meals, which are important to them. The 2017 Hartford Community Food Security Awards are being hosted by the Hartford Advisory Commission on Food Policy on March 15, 2017 from 6 pm to 7:30 pm at the Hartford History Center (3rd floor of the Hartford Public Library, 500 Main Street). 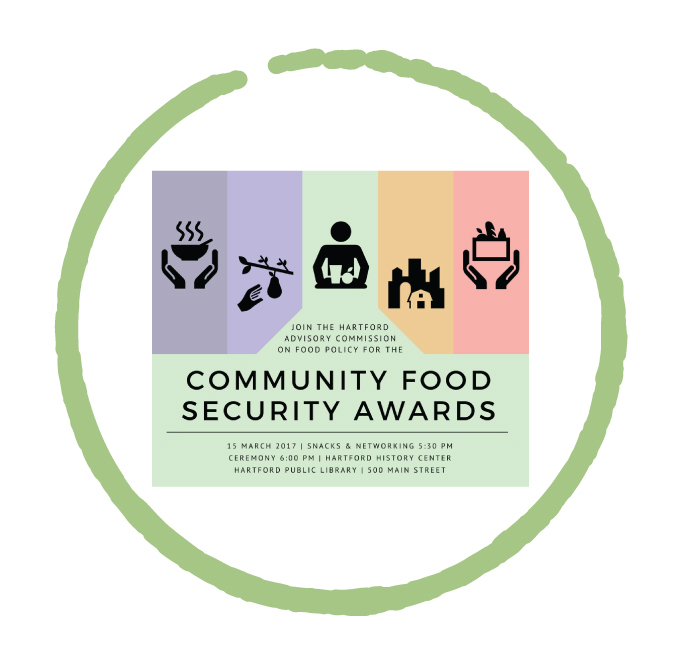 What are the Community Food Security Awards? The City of Hartford Advisory Commission on Food Policy hosts the Community Food Security Awards each year to raise awareness about community food security and to recognize individuals and organizations in Hartford that are working to improve nutrition, strengthen local food systems, reduce food insecurity, support sustainability, and empower communities to strengthen the food system. There will be a resource fair and light snacks catered by Billings Forge from 5:30 to 6:00 followed by the ceremony from 6:00 to 7:30.